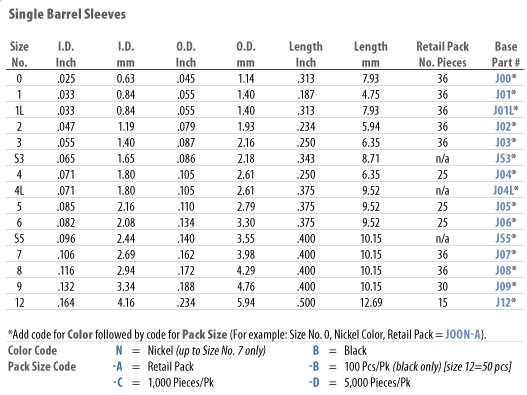 Single barrel copper leader sleeves. Made from copper and available in black and nickel finishes. Sleeves can be fitted to wire, monofilament, and other various lines. Burr-free nonabrasive finish combined with high strength and corrosion resistance makes AFW’s sleeves the preferred choice of professional leader, lure, and tackle manufacturers.